Meet Carey Kluttz! AUP alumna MA '09, and one of the exceptional panelists confirmed for Global Alumni Weekend! After completing her master's degree in Middle East and Islamic Studies, Carey followed her passions into the non-profit sector, bridging relationships and understanding between the United States and the Arab world. Carey's path then shifted to Sub-Saharan Africa, consulting with the World Bank on open contracting as well as governance in the extractive industries. 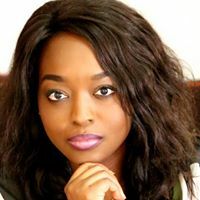 Her professional and academic endeavors continue to focus on work on the African continent, having served as a Fulbright-Clinton Fellow with Société pour le Développement Minier de la Côte d’Ivoire (SODEMI) and currently as a Senior Program Manager with the Open Contracting Partnership. We welcome Carey's insights and look forward to learning more about her work during the Knowledge Festival on Saturday, May 20th. We hope to see you there! Do you want to join the 55th Anniversary - Global Alumni Weekend but unable to attend all the events? 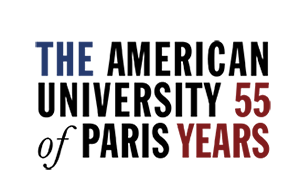 Check out our registration page where individual activities are now available for purchase! To view the full list of events offered over the weekend or to see those currently registered, visit our website and sign-up today! For any inquires, please contact the Alumni Affairs team at alumni@aup.edu. During Charity Week 2017, the AUP community was addressed by Jennifer Miles, the UK Executive Director, of Afrika Tikkun regarding the organization's incredible work supporting youth in South Africa "from cradle to career". In 2016, Dr. Bertie Lubner, founder of Afrika Tikkun, was awarded a posthumous honorary degree from AUP, which was accepted by his son Marc and, granddaughter and alumna, Takara ‘14. 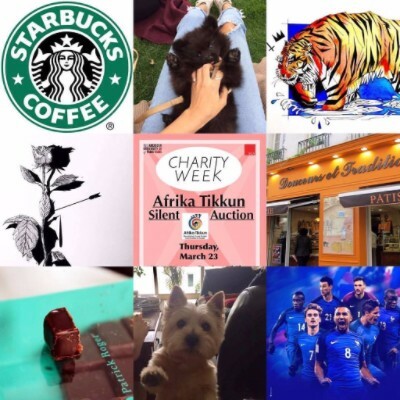 As a student at AUP, Takara formed AUP Cares – a student led charity that aims to raise awareness and inspire students from the AUP community to take initiative in lending a helping hand towards the less fortunate both locally and internationally. Following the presentation by Ms. Miles, a silent auction was held, with prizes donated by students, staff, alumni, and friends including American Concierge. Due to the community's gracious participation, the evening raised a total of 961 Euros! The auction's grand prize was a week-long internship with Afrika Tikkun in Johannesburg, awarded to MA student, Hibaq Dougsiyeh. The evening also incorporated the launch on of a new charitable grant of 3,000 Euros a year, made possible by the generosity of Takara and her family, in honor of their beloved grandfather, Bertie. Current students are invited to apply for the grant before April 24th, after which AUP Cares and Takara will select one or more recipients to receive funding in support of their charitable projects. Later this year, the Lubner family will further provide an annual Philanthropy Award of 500 Euros to recognize the philanthropic achievements of an outstanding student within the AUP community. If you would like to view Jennifer Miles' presentation during the event, you may click here. Alumni Survey: Calling Alumni from the Classes of 2014 and 2015! It’s that time of year again when we reach out to our recent alumni to participate in our annual AUP Next Destination Survey. This survey allows us to assess the impact of an AUP education on our most recent graduates in order to communicate our successes as well as incorporate areas of improvement into our development strategy. 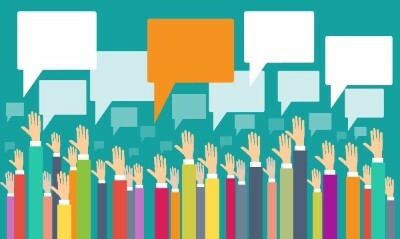 With the information gathered from these surveys, AUP is able to better determine whether we are delivering on our mission, learn the areas of the world where alumni are currently working, the quality of professional prospects after leaving the University and the strength of AUP’s support networks. For alumni from the classes of 2014 and 2015, we send many thanks in advance for taking a moment to fill out this survey. If you have any questions or concerns, please contact our team at alumni@aup.edu for further details. AUP's Woke Week Student Committee hosted the Privilege Walk. Students participated in activities surrounding concepts of privilege, its impact on their lives and their access (or lack thereof), as well as the impact on others. 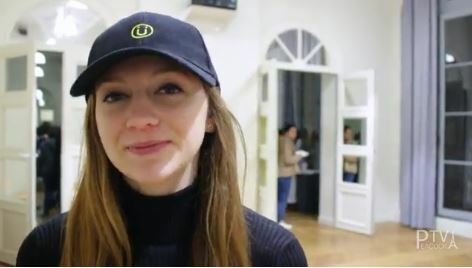 Five weeks following the first Privilege Walk on the AUP campus, the student media channel, Peacock TV, interviewed participants on what "being woke" meant to them and explored the origins of the term. Interested in learning more, watch the report here. The Department of Comparative Literature and English is delighted to announce the 6th edition of the Summer Creative Writing Workshop. The feature author this year, Stacey D'Erasmo will teach the course, Writing Fiction. Professor Siân Dafydd will instruct the Poetic Experience as well as a new course, Translation: A Creative Process. Professor Jeffrey Greene will lead the session on Crafting Personal Narrative. During the workshop, there will be weekly readings by internationally recognized authors, along with a number of guest speakers, and Paris literary field trip/writing assignments. Applications are now available. 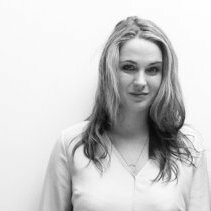 Alumna Cora Hilts '11, is working to make London fashion more sustainable. Cora is the co-founder of Reve En Vert, an eco-friendly online luxury fashion boutique. In 2015, her work caught the attention of Forbes and made the "30 under 30" list for retail. Reve En Vert recently embarked on a dynamic equity crowd-funding project, attracting investors to engage in this new wave of luxury fashion. 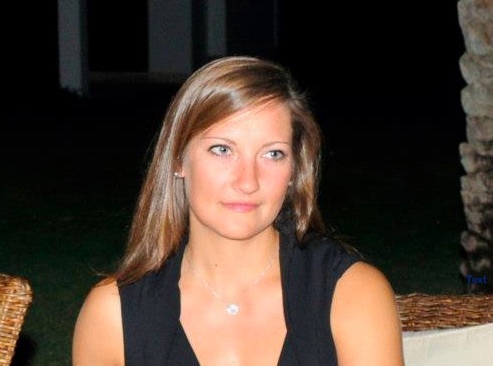 A little over seven years ago, alumna Amy Sarr Fall MA '09, launched Intelligences Magazine. From humble beginnings, Amy has lifted her magazine and global reputation to extraordinary heights. Since completing her degree, Amy has interviewed the Dalai Lama, met with French President, Francois Holland and inspired others in Senegal, the African continent and abroad with her outstanding leadership. Amy was named Woman of the Year in Senegal by the Calebasses de l'Excellence Awards for her work in politics and media in 2016. Recently profiled on CNN, Amy's Facebook page demonstrates her incredible reach as it now surpasses the mark of 1 million followers. Read Amy's full biography on her website and view her CNN feature by clicking the button below. 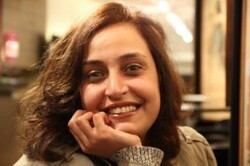 Alumna Maha Assabalani MA '14, works for the think tank, Arab Reform Initiative as a Communications Officer in Paris. Maha is also a freelance journalist, media analyst and human rights advocate whose efforts have focused on human rights, exile, identity, and security. As a journalist, she has contributed to the Oxford Journal of Interrupted Studies, Huffington Post, Associated Press, France TV blog, Open Democracy, and others. Additionally, she has worked with the International Federation for Human Rights (FIDH), World Bank, United Nations University (UNU) and various Syrian humanitarian organizations. Recently, Maha and her colleagues at the Associated Press won the Overseas Press Club Award for human rights reporting for their contribution to the series the "Islamic State: A Savage Legacy". During Global Alumni Weekend, Maha will be one of the alumni panelists participating in the Knowledge Festival taking place on Saturday, May 20th. To read an article from from the series, click the button below. The Center for Critical Democracy Studies and the Student Government Association welcomed British columnist, author, commentator, and political activist Owen Jones to speak to the AUP community. As a columnist for The Guardian and author of Chavs: The Demonization of the Working Class, as well as The Establishmentz: And How They Get Away With It, Mr. Jones is a celebrated figure in today's political world. He came to AUP to talk about his new work on the politics of hope. 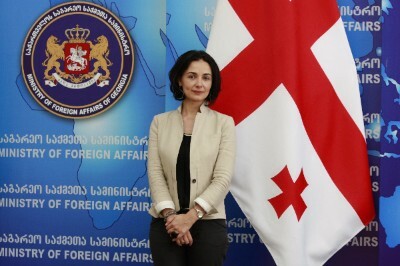 The Ambassador of Georgia to France will give a talk about Georgia's foreign policy in relation to Russia and the European Union. 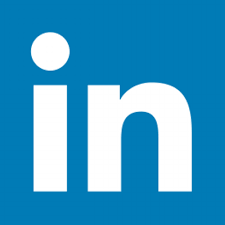 The Department of Careers and Internships is available to support students, alumni and the wider AUP community with job preparedness and internship inquiries as well as the creation of a stellar LinkedIn profile. Join us for this workshop on learning tips, tricks, and best practices for completing your profile and networking within this essential professional platform. 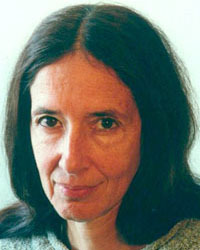 After a brief introduction to the field of oral history, Amia Lieblich, Professor of Psychology, Hebrew University of Jerusalem, will describe the Jewish-Palestinian village, Wahat al-Salam - Neve Shalom that was the subject of her study in 2010, as well as its development since being founded in 1977. Dr. Lieblich will elaborate on the complications in conducting the study, discuss its essential results and its contribution to oral history research on conflict management and alleviation. The talk will be accompanied by photographs of the village and personal narratives of the study participants. The George and Irina Schaeffer Center for the Study of Genocide, Human Rights and Conflict Prevention invites you to an evening with Hélios Azoulay and his musicians at Maison de la Chimie. 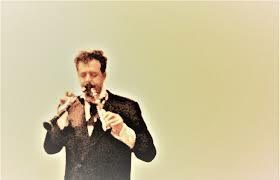 Composer, clarinetist, writer, Mr. Azoulay is the Music Director of the Ensemble de Musique Incidentale. For ten years, he has been interpreting music composed in the concentration camps. Mr. Azoulay's album, … même à Auschwitz,is the first in France devoted to the subject and has been acclaimed by the musical press. Creative and versatile, Mr. Azoulay is also the author of several books, including L’enfer aussi a son orchestre, co-written with Pierre-Emmanuel Dauzat and published in 2015. During the evening, Mr. Azoulay and his fellow musicians will perform a range of works composed in the camps for the AUP community. The Psychology Department warmly welcomes James T. Lamiell to speak on "statisticism" in psychological research. In his recent works, Dr. Lamiell has used the neologism 'statisticism' to characterize mainstream psychology’s canonical commitment to statistical methods of inquiry as the properly scientific means of discovering the lawfulness of human psychological "doings" (i.e. sensations, perceptions, judgments, cognitions, emotions, behaviors). In this presentation, Dr. Lamiell will sketch statisticism's historical ascendance; mainstream psychology's astonishing incorrigibility in the face of repeated critiques of statisticism's tenets; and the prospects for a scientific psychology free from statisticism's pretensions. "Climate change in a populists' world: can we meet the goals of the Paris Agreement without a World Government?" 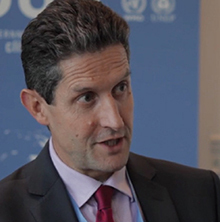 Myles Allen is Professor of Geosystem Science in the Environmental Change Institute, School of Geography and the Environment and Department of Physics, University of Oxford, and Co-Director of the Oxford Martin Net Zero Carbon Investment Initiative. Dr. Allen's research focuses on how human and natural influences on climate contribute to observed climate change risks of extreme weather and in quantifying their implications for long-range climate forecasts. He is currently a coordinating lead author on the Intergovernmental Panel on Climate Change Special Report on 1.5 degrees threshold, having served as lead author on the IPCC's 3rd, 4th and 5th Assessment reports. For additional details, read more below. 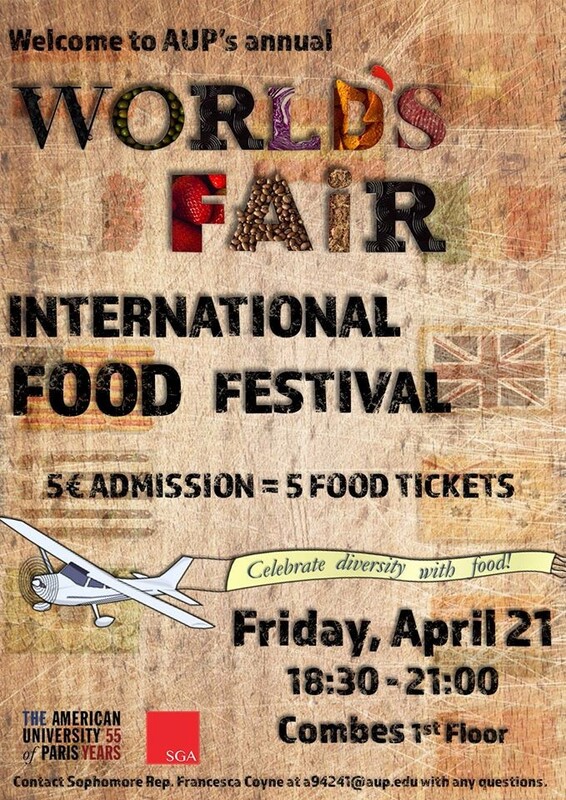 An AUP tradition, the World’s Fair is an international food festival, where the AUP community celebrates with cuisine from all over the world prepared by current students. As a university of global explorers, what better way to relish our diversity than over food! Food and drink tickets are distributed at the door and will also be available in advance online with a minimum entrance of 5 Euros. For any general questions regarding the day, please contact Sophomore Class Representative Francesca Coyne at a94241@aup.edu. 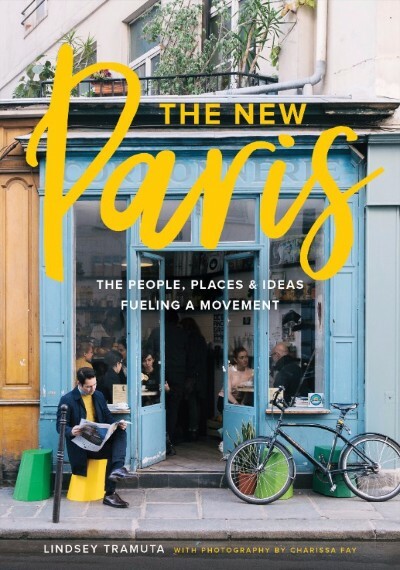 In conjunction with the Master's Program in Global Communications and the AUP Alumni Affairs Office, we invite you to an evening with alumna Lindsey Tramuta, MA '09, for the launch of her recent publication, The New Paris: The People, Places & Ideas Fueling a Movement. Lindsey Tramuta is an American journalist from Philadelphia with an award-winning blog, Lost in Cheeseland, and regular contributor to the New York Times, Afar Magazine, and Condé Nast Traveler, writing extensively on Paris and French culture. A reception and book signing will immediately follow the discussion. Shakespeare & Company will be present for book purchases. 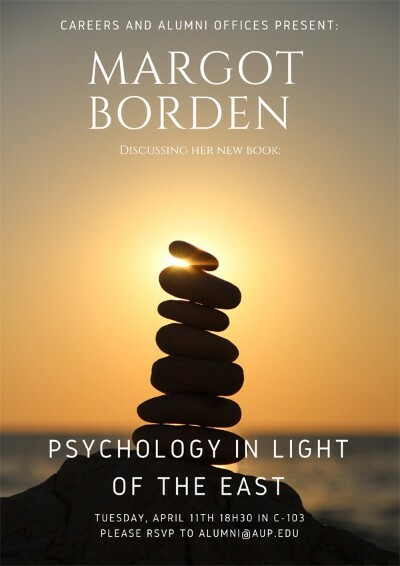 The Offices of Career Development and Alumni Affairs present alumna Margot Borden '86, discussing her new publication, Psychology in the Light of the East. This book presents a theoretical and therapeutic approach to integral psychology incorporating the reason of Western psychology and the holistic outlook of Eastern wisdom. Weaving together mystical, philosophical, and psychological threads, her work seeks to help professionals and individuals on their journey of self-knowledge, self-mastery, and the realization of their psycho-spiritual potential. If you would like to join the book launch and lecture on Psychology in Light of the East, please RSVP for you + guest(s) to alumni@aup.edu. For those who do not have an AUP ID card, an RSVP is required for security purposes. Following a successful series of networking events with hosts Amr Al-Yafeai '04 and Michael McNeilly '09, we ask you to the save the date for a special evening with guest speaker Max Kettner, a Senior Cross Asset Strategist at Commerzbank. 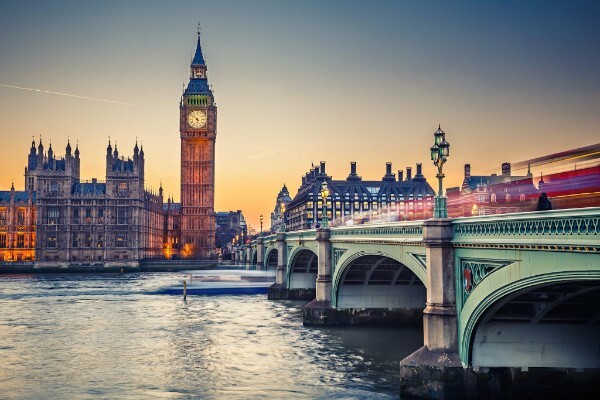 The first in a series of events incorporating a new dynamic format of alumni soirees in London, Mr. Kettner will speak on a topic relevant to all Londoners: "Brexit and its Implications”. All those in the alumni community are encouraged to attend and partners/guests are welcome. Location details will be confirmed in the coming days so make sure to mark this important date on your calendar! 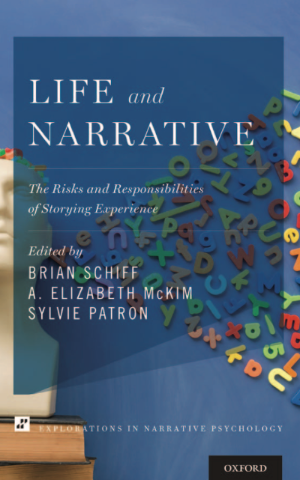 Associate Professor Brian Schiff has recently co-edited and published a new book entitled "Life and Narrative: The Risks and Responsibilities of Storying Experience". Incorporating chapters such as "Narrative and the Law," "Narrative Fiction, the Short Story, and Life," "The Body as Biography," and "The Politics of Memory," this work features research and perspectives from rising academics and prominent scholars in the field of psychology. Professor Schiff is the current Department Chair of Psychology at AUP and Director of the George and Irina Schaeffer Center for the Study of Genocide, Human Rights and Conflict Prevention. Professor Michelle Kuo, International and Comparative Politics, will be releasing her new book Reading with Patrick this upcoming July. 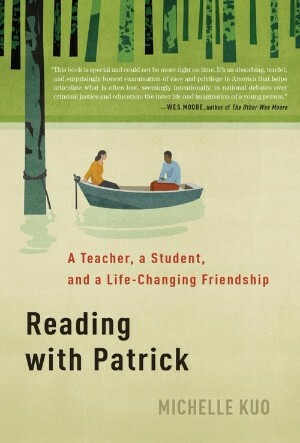 This forthcoming publication is a memoir of race, inequality and the power of literature told through the life-changing friendship of an idealistic young teacher and her gifted student jailed for murder in the Mississippi Delta.To learn additional details, please visit Professor Kuo's website. 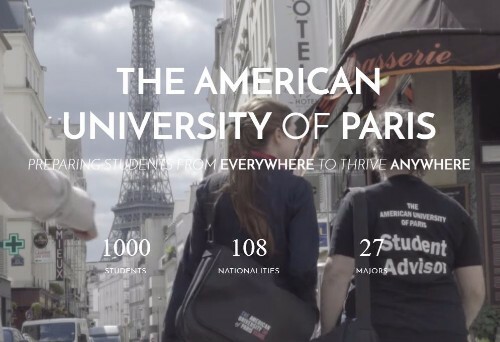 Copyright ©Copyright © 2017 The American University of Paris All rights reserved.